What happens to your animals after they are adopted? The Pet Protection Agreement® pet trust ensures the animals ongoing care when their pet owners can't. Make sure the animals you adopt out never end up in a shelter. You don't want you pet to end up in a shelter. Pet owners can be sure that directions for their pet's care will be carried out if they have a Pet Protection Agreement. A Pet Protection Agreement can describe the care that your pet should have, how he likes to be walked, his favorite food and the veterinarian you prefer. You can also list who you would like to take care of the pet - the Pet-Guardian. 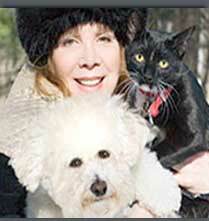 The Pet Protection Agreement pet trust protects pet in many ways that a will cannot.